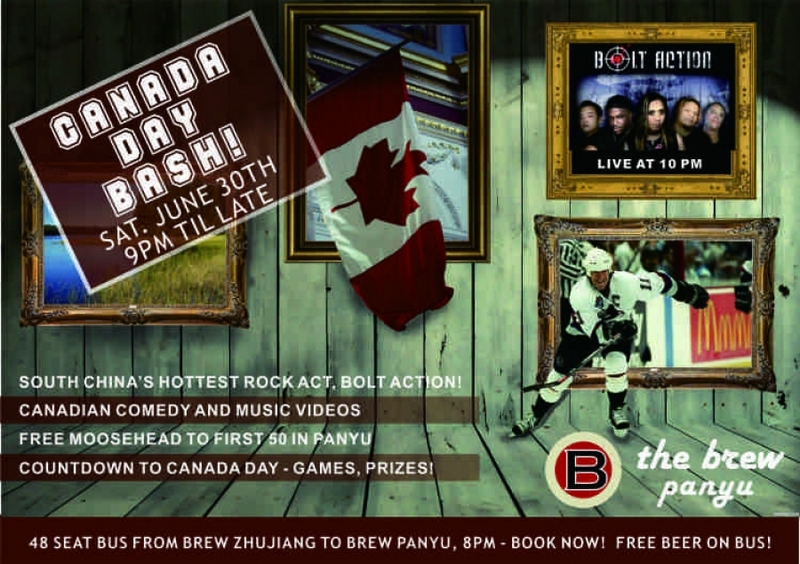 Canada Day Celebration @ The Brew Panyu! It's Canada's 145th! Where else would you celebrate than at The (Strange) Brew! See the poster for details! 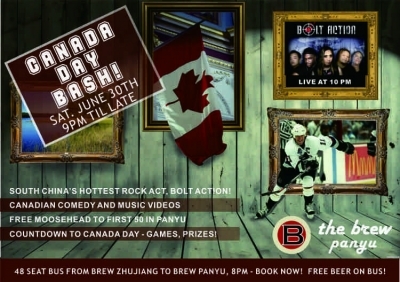 Book with Jennifer at The Brew Zhujiang to save your seat on the bus!